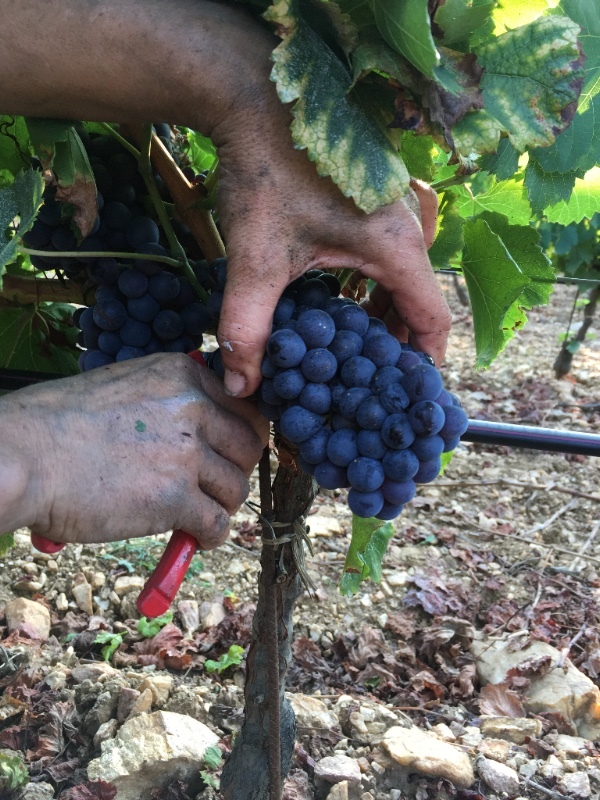 The 2018 harvest has just ended at Domaine Figuière, and winemaker François Combard can finally breath easy … at least little bit. This vintage has been complicated in the vineyard as everywhere in either Provence or in France. 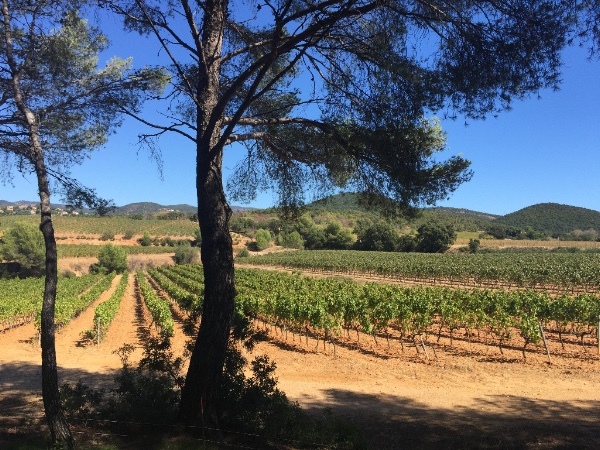 With the region of Provence being so close to the coast, it is usually protected from moisture by the Mistral, however this year, it has experienced an almost tropical climate: hot and humid! This moisture benefited only the Mildew, which put high pressure on the vines this year (and François alike). It was his winemaker experience that allowed him to fight against it. 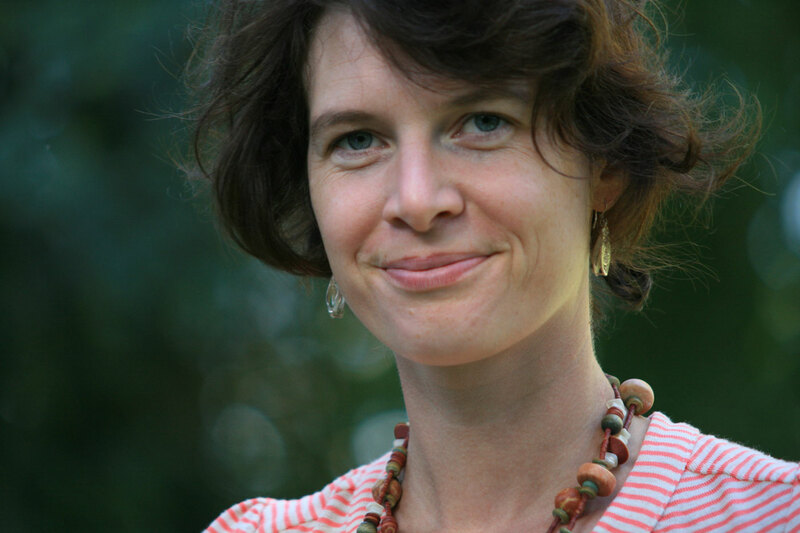 Early in the season, François spotted small but visible leaves just touched by Mildew, and knew that if the weather conditions continued to present a humid and windless climate, the situation could deteriorate very quickly. The first copper treatments were applied on leaves, but in very small quantities to save future clusters. Thus, the fruits were protected, and were not contaminated by the mildew. Another phenomenon against which it was necessary to adapt and fight concerned the arrival of a new insect in the vineyards : the caterpillar from North Africa. This borer acts in a vicious way because it enters the bunches of grapes to reproduce, hidden inside the berries. It is difficult to detect. These holes left by the caterpillar are then the start of berry decay. It is very important to contain the problem from the first attacks. 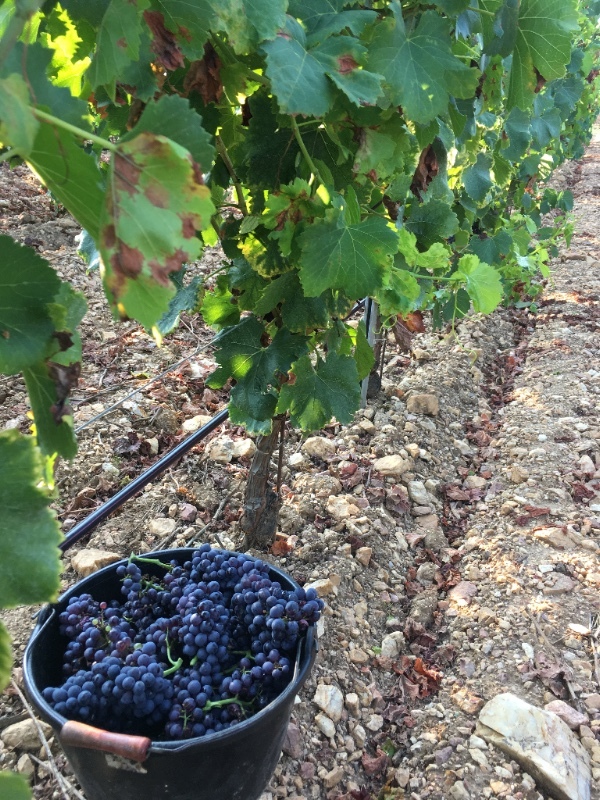 The mild winters are conducive to its development, meaning François will have to ensure that the clusters not harvested do not stay on the ground, and are collected so as not to leave a source of infection for the following year. 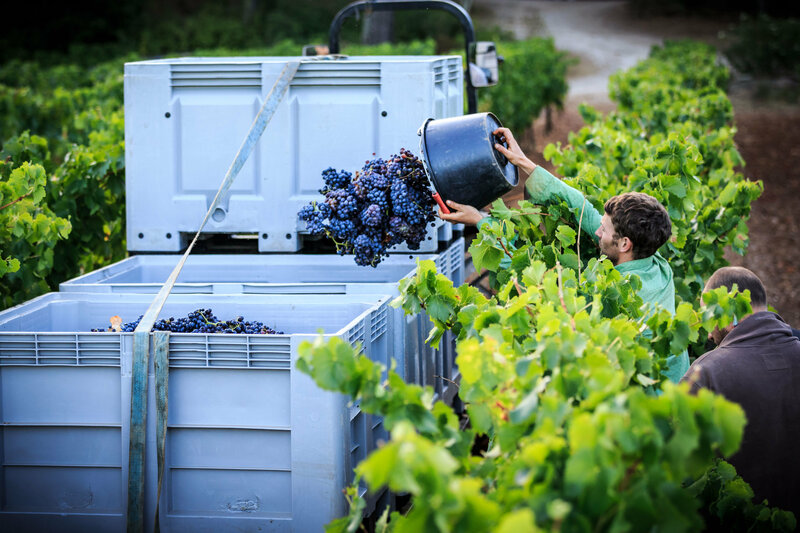 At the estate, the manual harvesting was longer than in previous years to properly sort the grapes and bring back to the cellar only perfectly healthy ripe bunches. There is however a very good side to all this moisture: vegetative development! Water is essential to circulate the mineral elements from the soil to the plants. 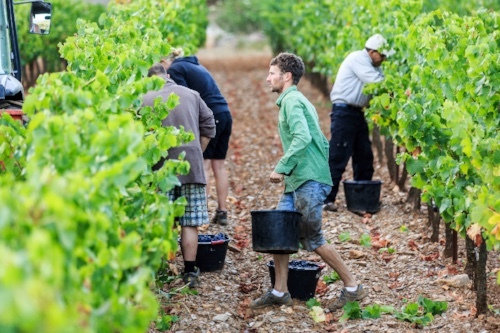 Several studies have shown that while water stress can be interesting for red grape varieties, it is less good in the case of vinification of rosé. The vines have never grown so much, nor produced so many leaves. In total, the vines were passed 4 times to trim the growth instead of the usual 1.5 trips to cut back leaves. This abundant foliage is perfect for a quality photosynthesis, and therefore an optimal grape diet! The musts are rich in nitrogen and potassium and already have a nice aromatic structure, with beautiful colour extraction. Photo 1 & 2: Harvest time – lots of green, lots of leaves! Just after the harvest has finished, François is already thinking about preparing the next. Time is an ally and the patient winemaker knows how to work with the seasons! This year François did a test of natural mulching on 3 ha. The goal is always the same: to maintain living soils that are therefore rich and able to be an excellent support for the vine! To have natural mulching, seedling from a mixture of grasses + vetches (a legume which will allow a nitrogen enrichment via a symbiosis between a fungus and its roots: the mycorrhizas) are planted after the grape harvests. These seedlings will grow with the first rains of autumn. The shoot will stop naturally with the cooling of the soil, and the plants will reach a size of about 8/10 cm. The shoots resume again in the spring with the warming soil, potentially reaching a height up to 1.2 m.
Using a roller that passes between the rows of vines, these grasses + vetch (whose stems curl up on grasses) are folded over and pressed to the ground forming a dry straw. This straw creates a perfect shade for the soil that heats up less quickly, and provides a more comfortable habitat for the micro-fauna of the soil. This is a double contribution: straw for a texture for soils, and legumes for the nitrogen available for the vine. This fall, the test will be done on 8 ha. Soils have just been prepared to accommodate seedlings. Like everything at Figuière, there will be accurate monitoring of this soil life through continue the measurements. A true artist never stops creating, and such is the motivations of winemaker François – a graduate of university with an art degree! He expresses his creativity in his wines, and we have two new projects to share with you from Figuière. Absolu Rosé – a new rosé made for ageing! 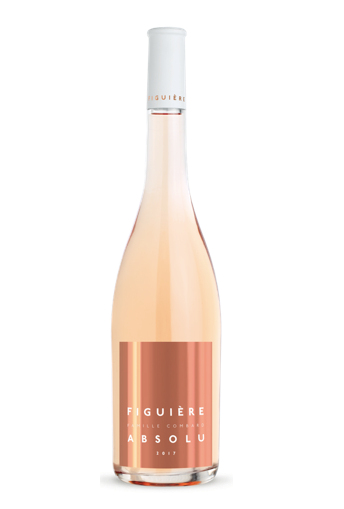 It is a project that has always been at the heart of the Combard family, making great rosés. Why would it be possible to have great white wines of guard and not great rosés of guard! 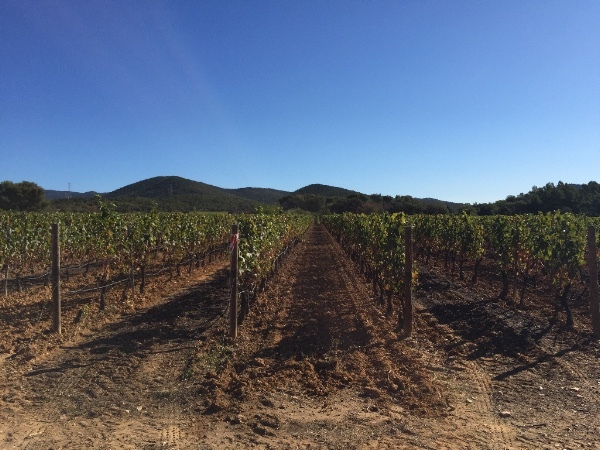 Mourvèdre, the typical grape of this sunny region is perfectly adapted for this type of wine. The selected Mourvèdres are from plots on schistous soils of the estate. This grape gives notes more vinous and complex, that evolve very well over time. A blend of 60% Mourvèdre and 40% Grenache Noir, the wine has been fully vinified and matured in barrels and half-barrels. The wines were tasted very regularly; it is a rosé without woody notes. 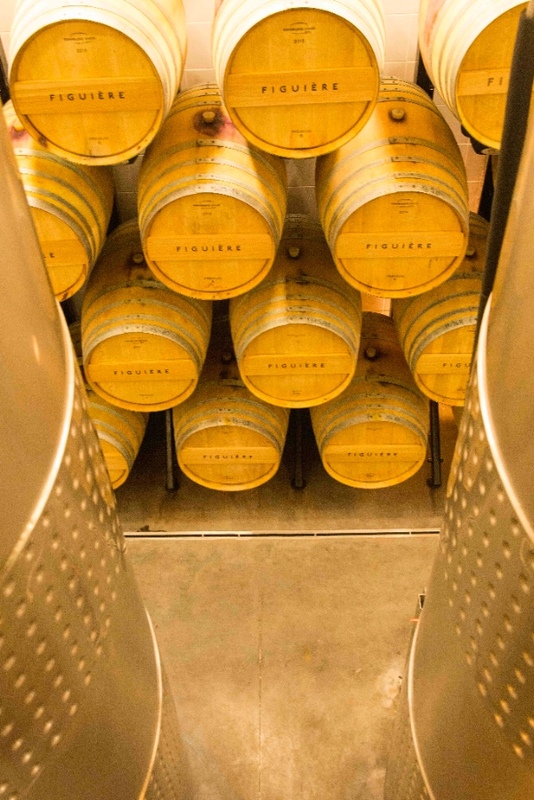 The ageing gave the wine a beautiful spine and a complex aromatic expression and only the barrels that did not mark the wine by the tannins of the wood were used. The test is a great success and we should have the Absolu export range next year! A new red wine will be ready in a few months. Again, this is a very small production with 900 liters of wine only! The clusters of Mourvèdre are vinified with the stalk. The grapes have been harvested with a very beautiful maturity and a slightly lignified stalk that will bring no vegetal note to the wine. This first test shows that the wine has 10% more color. 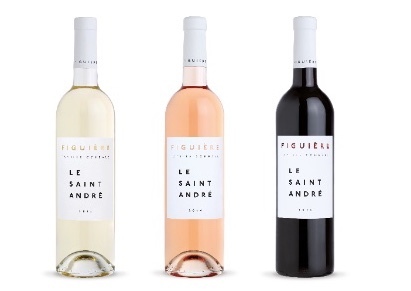 Figuière continues to present all the colors of Provence from the IGP St André to AOC Côtes de Provence La Londe with the Confidentiel range. 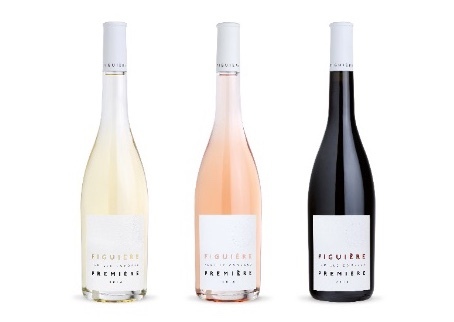 Première range, finesse et elegance, historically the oldest of cuvées from the Domaine made from typical Mediterranean grapes. AOC Côtes de Provence La Londe. 100% Certified Organic. 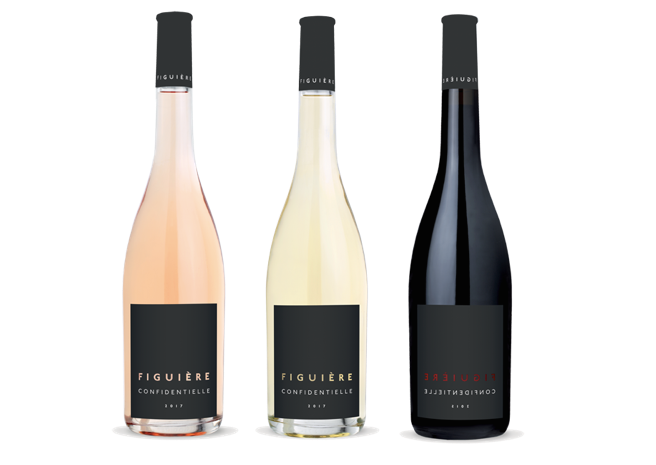 Confidentielle range, produced in very small quantity and strictly from the pure schiste soils of the Domaine, that expresses much minerality in the wine. A range of gastronomic wines, suitable for ageing, of all colours: red, white & rosé. AOC Côtes de Provence. 100% Certified Organic. 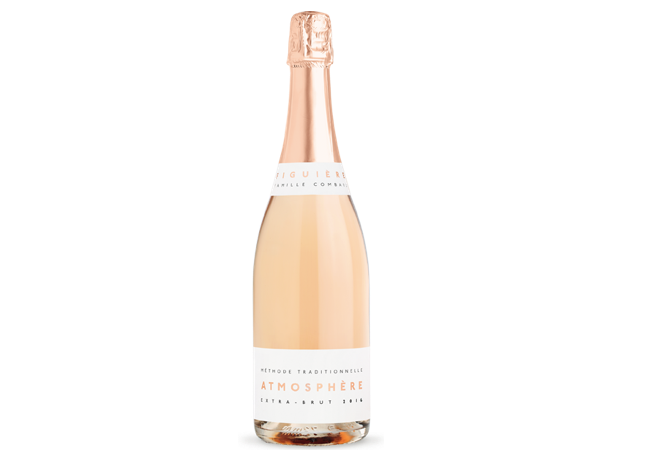 Atmosphere Extra Brut : We find an expression of finesse in the bubbles, carefully aged in bottle yet preserving its pink colour. A sparkling wine that is balanced between freshness and roundness, that finishes elegant, fruity and dry. 100% Certified Organic. Signature: Valerie, Magali & François. 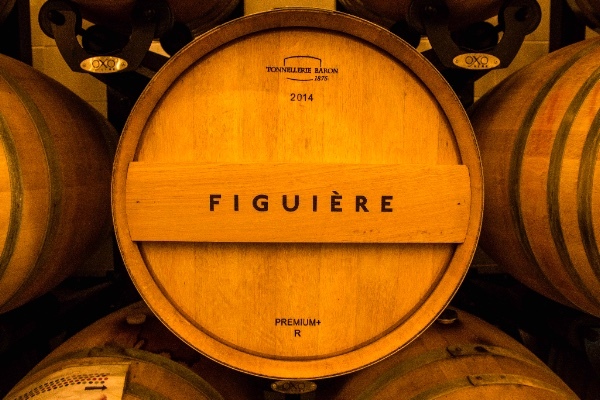 Wines of pleasure, named after the children of the founder of Figuière, Alain Combard, and crafted from the best terroirs of the region. A precise wine that is generous on the palate. AOC Cotes de Provence.